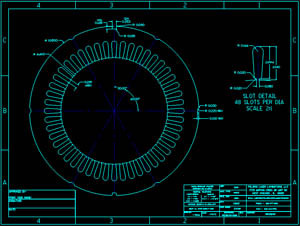 Polaris Laser Laminations can provide a quick turnaround for design engineers. Send us your drawing files in a .DXF or .DWG format along with material/quantity required and we will respond back to you within one business day. We have the capability to stack laminations as well. We can provide welded stacks or bonded stacks. Stacks can be straight or skewed. Don't have drawing files? Polaris can also create drawing files for you. Polaris stocks electrical steels and unique steels. If we don't have it in stock, we can most likely find what you need. 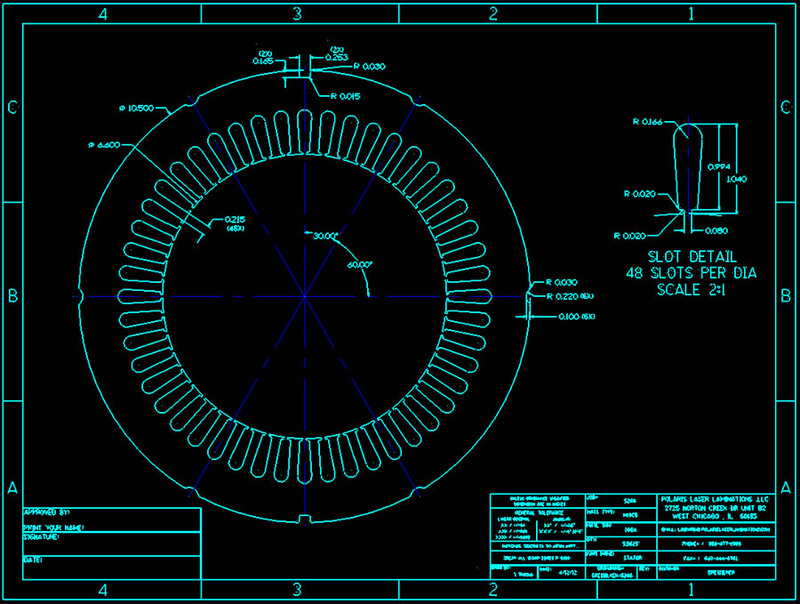 Email/Fax us your drawing files in a .DXF or .DWG format. Let us know what material is required along with quantity. Customer will receive a quote within one business day. "Test" cut for lamination is sent for approval. Once "test" lamination is approved, production begins. All jobs at Polaris are closely monitored from start to finish. Polaris can offer a quick turnaround for your needs.